What I loved about the CSA hasn’t changed. 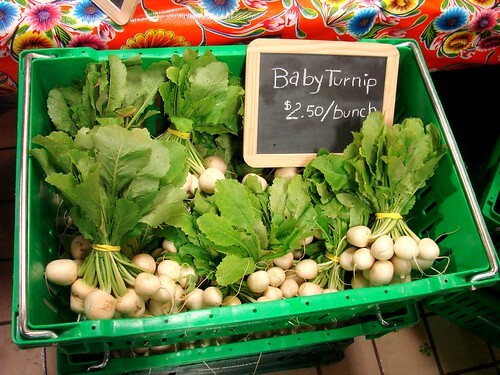 It’s great to get organic vegetables and support local farms. I love seeing the different crops come into season and cooking with new-to-me vegetables. The CSA is all volunteer run and it’s on a sliding scale which enables folks with limited income to still enjoy weekly fresh, organic vegetables but at a much lower cost. BUT…it’s also a big strain. Over the past few years deciding who’s picking up the veggies has become an unnecessary source of marital strife. Last year I’d conservatively that we missed at least a third of the pick-ups. The excess veggies get donated to a local soup kitchen so at least they don’t go to waste, but when you’re paying for vegetables and not getting them, it feels like you’re just wasting money. Then there’s the actual eating of the vegetables. You know how it is…summer weekends get booked up fast! Whether it’s an invite to a friend’s barbecue or just kicking back for dinner al fresco at neighborhood joint at the end of the week or one of the many fun summer food events, there’s no shortage of opportunities to eat out to be social. At times I’ve felt like a slave to my vegetables, whether it was the attempting to prolong their shelf lives, balancing eating everything by the time the next delivery arrived, or invariably finding a bag of rotting radishes at the back of the crisper. When your CSA haul turns into liquidy organic compost in your fridge, that also feels like a waste of money. This year I’ve following what was my back up plan last year before I jumped back into CSA-dom, I’ve made myself a farmer’s market fund. I'm setting aside the money I would have spent on my CSA and spending that money on a weekly basis (or an as-is-convenient basis) at the greenmarket. So I’m still supporting local farmers and getting to know the producers, but I’m getting the veggies I want, when I want them so there’s more of a chance I’ll actually eat them--at least that's the hope. Did you join a CSA this year? Or do you have your own greenmarket fund? I signed up for the CSA again this year. I work at home, so the pick up is a bit easier for me than most. Also, our CSA does half-shares, so the haul is manageable. There's still some compost, but not a ton. CT and I are looking into doing a CSA this year. might spend extra to do the one that delivers rather than go to West Chelsea every Tuesday for pickup. I think we'll try it once and see how it goes with the plethora of veggies and see how we handle them. I have always wanted to join a CSA but could never put out all the money up front. Then a friend recommended NextDoorganics.com. They allow you to customize a size to fit your needs. The smallest package is $25 and can feed 1 person 3-4 times per week. And the real kicker is that if you live in certain areas (i live in Williamsburg) they have delivery service for an extra $5.